I have put aside my secret afghan project and started knitting hats. The thrill, yes there is a thrill to knitting, of finishing a project in one evening has given me a second wind. I have to go to the craft store today because I promised to knit a hat for a guy at work. He is a Steelers fan, and I need a yarn close to the Steelers yellow. Also, he wants earflaps, so I have to a free pattern for that. One of the hats knitted up really big, because I used the wrong needles. I am going to buy some elastic thread and try to fix the brim. The hat could work as a slouchy hat if I could tighten the brim. 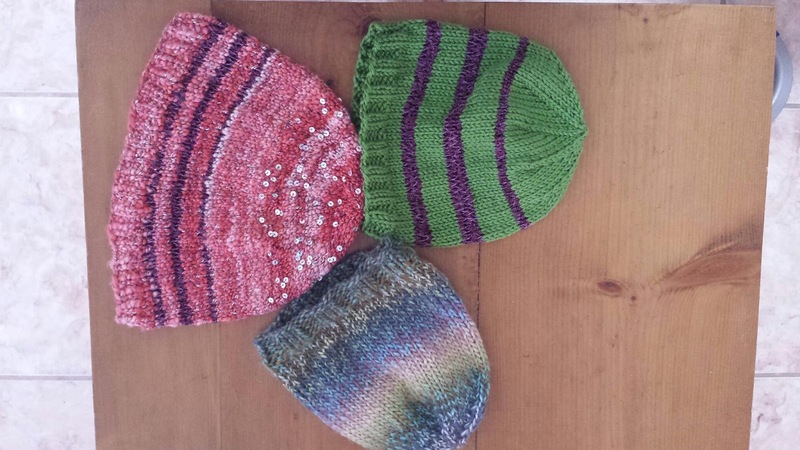 The other hats are nearly perfect and I will be gifting them to another co-worker. I am finally unwinding after a very stressful two weeks at work. I really needed this three-day weekend.